I’ve presented combination fire departments as a viable option for combating dying volunteerism, complacency in tradition and indifference in politics in the fire service. While there are plenty of success models to observe, there are many more departments in peril. It is easy to get trapped in the spiral of defeat and to tear down. It is much more difficult to engineer success. Clearly, building up combination departments is not the only option, however, it is one of the most difficult to maintain. In this briefing, I’ll present my top three individual and organizational steps for building success as a team. 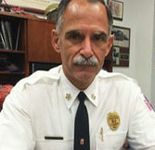 Also in this briefing, Robert Rielage takes on another insidious problem in the fire service – PTSD – and how we as chiefs need to ensure we’re taking care of ourselves, so we can better take care of our people. It is indeed time to succeed on purpose. Are you on board? 1. Inclusiveness. Provide opportunities for everyone to participate. This can be as simple as an invitation to be a part of something, to provide specific input, just to have the chance to be heard. This doesn't mean you'll hear from everyone – trust me. It does mean that people know you'll at least ask. Make sure the opportunity is more than superficial. Are the participants really being heard. 3. Challenge and motivate. Most high performers want to be challenged; to them, that's their single greatest motivation. If you only have high-performers, then you should have this down to a science. If you're like most bosses, not all of your volunteers or employees are high-performers, and you'll have to identify those aspects that motivate those people (e.g., e-learning, hands-on training, thanks and admiration, or just wanting to be part of something larger). Your organizational vision should be the basis for providing motivation. Having motivated staff (paid and/or volunteer) will help win most battles. Yet motivated staff alone cannot build an organization. We have taken great note of the decline in volunteerism and the outright collapse or combination of some services (think dual-trained police officers), so let's look at my top three ways to use motivated staff to build up an organization. 1. Establish benchmarks. My current department (Highlands County [Florida] Fire Rescue) has a very simple mission statement; service. Yet a simple mission statement must be followed up with benchmarks for success and forward progress. We have an in-house strategic plan for staffing, facility improvements and apparatus purchases. For the people and the organization to grow, people need to be given the opportunity to succeed (in our case, through voluntary participation in work groups designed to solicit ideas, opinions and plans). 2. Tell the truth, be honest, be visible. One of the surest ways to drown yourself is to stick your head in the sand. 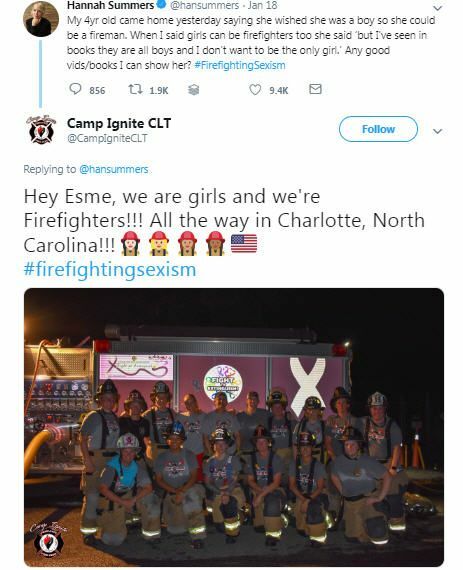 If your organization is struggling to put fire trucks and/or ambulances on the street, then you are already drowning. There must be an awakening of your organizational soul to recognize and admit your weaknesses so you can focus and build upon your strengths. Good or bad, you need to be in front of it. Yes, it could be said that "Grandma Jones doesn't know what Grandma Jones doesn't see or know," however, let me assure you, Grandma Jones will make it up if you don't tell your own true story. Use social media, traditional media, public events and schools to communicate your efforts and remain visible. 3. Always be forward thinking. It is important to remember the past so as to not be doomed to repeat your mistakes. It is more important to be able, capable and willing to look beyond the past and into the future with an open and positive mindset. Training and development, attending conferences, learning from each other, reaching across jurisdictional boundaries, considering consolidation and hiring, establishing positive political relationships, developing legislative initiatives that benefit your service – these are all things that are needed to help fix our current crisis of membership and survival. Reliance on $5 and $10 stipends, pay-per-call, partial tuition reimbursements and tokens of appreciation are essentially trinkets in a pool of piranhas. Those things may be part of a larger solution, however too many times, chiefs return to these tired initiatives only to repeat someone else's mistake. We must laud our folks when they do well and retrain/counsel them when they do not. Let’s give our people the opportunity to succeed – they need room to roam, and they need a rope for rescue. It's beyond time for us to take our people and our organizations where they need to be. It's time to succeed on purpose, together. Fire department call volumes reflect far more EMS responses than fully-involved fires. Today's fire chiefs face unique challenges in staffing, equipping, housing, transporting and training the right crews. 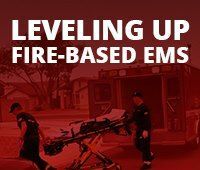 Incorporating new training modules and deployment models can help fire departments minimize response times, recover costs and optimize crew and apparatus deployment. There are a number of studies, programs and videos on the effects of post-traumatic stress disorder (PTSD) on all of us in public safety. For the first time, police officer suicides in the United States have exceeded line of duty deaths, which is also the case in firefighters. The cumulative effects of handling emergencies are among the leading causes of PTSD in first responders. Recently, in a span of a few hours, personnel from one station in our department responded to a non-breathing infant and a police officer who was struck while directing traffic. Neither patient survived. As the funeral arrangements unfolded, my concern was whether the police chief and his senior officers had any signs of extended stress. Each one of them was putting in exhausting hours, being present at every shift change and helping the family make arrangements. He and his lieutenants were there for their police officers, but what about them? That brought me to the question, "Who is there to counsel the chief?" Not too many years ago, I was shocked to learn of a young fire chief who took his own life. 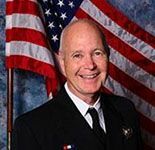 We had met by chance at a fire conference, and his department was one I had the privilege to serve with while I was in the Air Force assigned to a nearby airbase. We had sat for a long time discussing how the department had grown and how the engine I had once driven and engineered was now the city’s “antique” fire truck. What is the solution? I'm certainly not an expert, but it seems to me that every chief or senior fire officer needs a confidant – someone they trust explicitly – to share their trials, concerns, triumphs and failures with, without judgment, who is capable of sage advice when the situation calls for it. I've had several such mentors, confidants and advisors during my career, and at the same time, I've been the person others have come to on several occasions. It's up to you, but my advice is to find that individual and build your trust in him or her before you really need them. Talking things through when you need to clear your head of doubts or fears is one of the best ways to avoid PTSD, but – equally as important – is to continue your solid leadership in a department that looks to you for guidance. 3. Roadblocks to mental health counseling: A study reveals first responders believe mental health is as important as physical health, but feel that there are repercussions for seeking help. 2. The whole package: Smarts vs. common sense. Personality vs. competence. Enthusiasm vs. realism. There's plenty of room in the talent continuum to nurture any qualities that give responders an edge. 1. Situational awareness: Live action training and incident debriefings are key to empowering firefighters to be active participants and contributors to a safe emergency response. You are welcome to share the Fire Chief Leadership Briefing. Forward this email to your command staff or company officers, print and post in the day room or kitchen, or reprint in your organization or regional fire chiefs’ association newsletter. Got a leadership tip, management question, commercial use inquiry or an article idea? Send me an email at marc.bashoor@firerescue1.com. Reduce liability and minimize risk with FireRescue1 Academy, a simplified training solution for departments looking to assign accredited courses, upload SOGs/SOPs, track compliance and more.